Self-contained PA unit with a compact PP moulded cabinet in a desktop format. 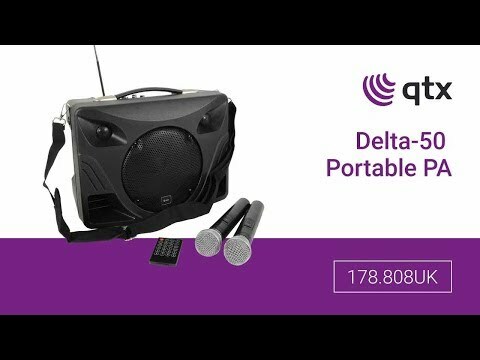 Built-in USB/SD/FM player with Bluetooth receiver and dual handheld VHF microphone system make this a comprehensive solution for tasks as diverse as classroom activities, meetings and singing rehearsal. Mains or internal re-chargeable battery operation and very manageable size enable this unique product to be used practically anywhere.